In little more than a century, industrial practices have altered every aspect of the cheesemaking process, from the bodies of the animals that provide the milk to the microbial strains that ferment it. 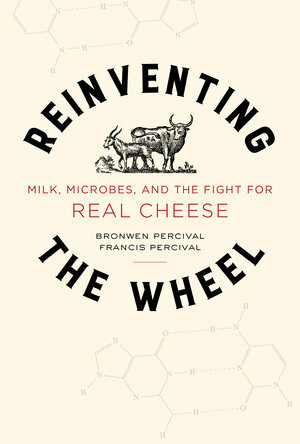 Reinventing the Wheel explores what has been lost as raw-milk, single-farm cheeses have given way to the juggernaut of factory production. In the process, distinctiveness and healthy rural landscapes have been exchanged for higher yields and monoculture. However, Bronwen and Francis Percival find reason for optimism. Around the world—not just in France, but also in the United States, England, and Australia—enterprising cheesemakers are exploring the techniques of their great-grandparents. At the same time, using sophisticated molecular methods, scientists are upending conventional wisdom about the role of microbes in every part of the world. Their research reveals the resilience and complexity of the indigenous microbial communities that contribute to the flavor and safety of cheese. 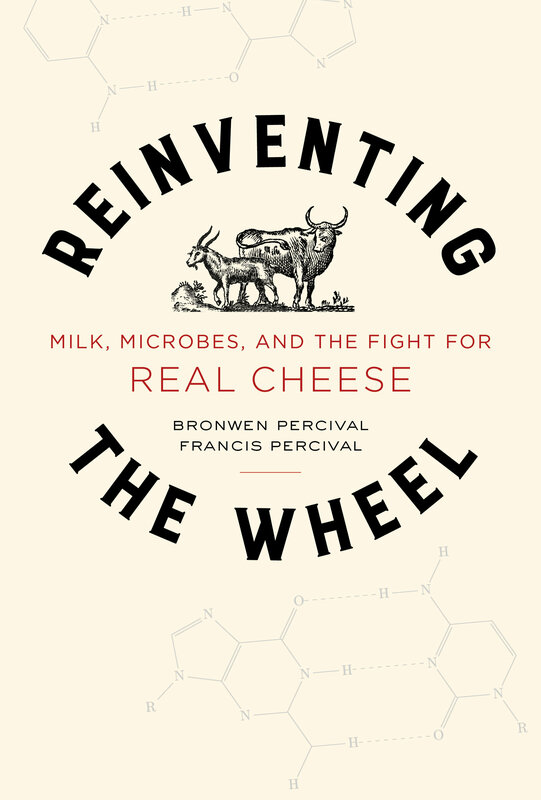 One experiment at a time, these dynamic scientists, cheesemakers, and dairy farmers are reinventing the wheel. Bronwen Percival is the cheese buyer at Neal’s Yard Dairy in London. She initiated the biennial Science of Artisan Cheese Conference and is cofounder of the website microbialfoods.org. In addition to serving on the editorial board of the Oxford Companion to Cheese, she recently edited an English translation of the leading French textbook on raw-milk microbiology for cheesemakers. Francis Percival writes on food and wine for The World of Fine Wine and was named Louis Roederer International Wine Columnist of the Year in 2013 and Pio Cesare Wine and Food Writer of the Year 2015. His work has also appeared in Culture, Decanter, Saveur, and the Financial Times. Together with Bronwen, he cofounded the London Gastronomy Seminars. "Not since Harold McGee’s monumental ‘On Food and Cooking’ (1984) and Sandor Katz’s masterly ‘The Art of Fermentation’ (2012) have I enjoyed and learned so much as I did from the Percivals’ book."